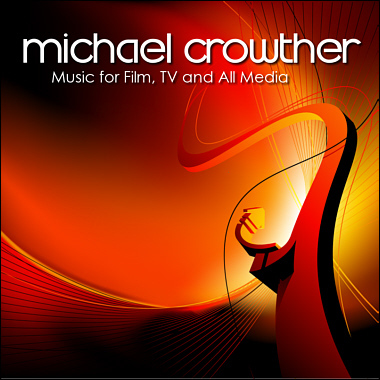 US composer Michael Crowther's growing catalog at AudioSparx offers up lively, high-quality, broadcast-ready instrumental music for Film, Television, and Multimedia productions. With compositions in numerous genres, Michael's clients include CBS (Criminal Minds), NBC Sports, Discovery Channel, Animal Planet (Monsters Inside Me), PBS, Toyota, Western Union, Shelley Games, Animation Studios, Children's Programs, Indie Producers, among many others. All of Michael's tracks are 100% cleared so there are no legal or copyright concerns. Happy Christmas music with sleigh bells and a catchy melody. It gives a feeling of riding in a horse-drawn sleigh through wintry scenes. Snow falling, tree-trimming, kids sledding, or a roaring fireplace. A lovely holiday piece great for adverts, kids TV, video games, retail, and holiday events. Instrumental, Christmas, Xmas Orch.